The last panel on gnome is being a pain to delete. I've tried the gconfig editor or whatever and going to desktop -> sessions and deleting the required applet text. Then when I kill it through the task manager it still just reopens itself, being a pain. Is there any other way to delete the last gnome panel? I don't want any of them at the moment, just my dock. Open gconf-editor, in desktop/gnome/session/required_components change the panel value from gnome-panel to your dock of choice. Restart your session and your dock will be auto-started by gnome and re-spawned if needed. Note that you will lose some keyboard shortcuts like ALT+F2 if you remove your last panel, if you need them you should just hide it. I did that deleting the content of the panel property. 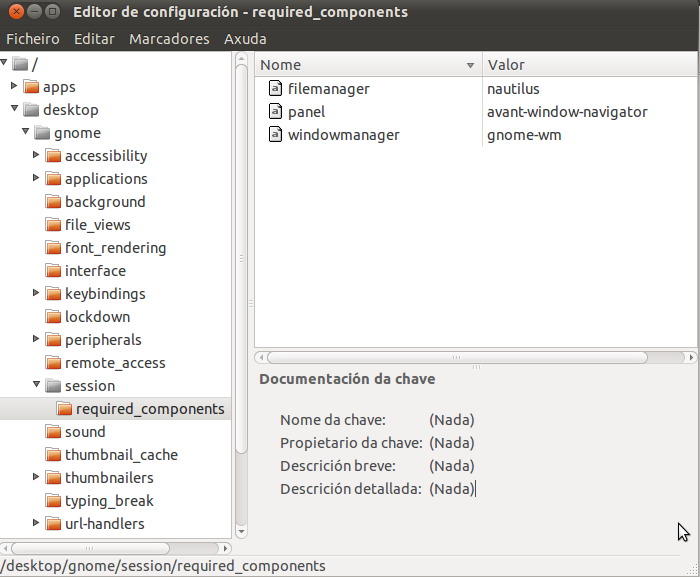 Open gconf-editor and then go to desktop->session->required_components. Edit the panel property and delete the content. Next time you login gnome-panel won't be loaded. To undo just set the property back. Not the answer you're looking for? Browse other questions tagged gnome-panel or ask your own question. Command to launch the ALT+F2 window? How can I make the date/time applet display on a single line? Where does GNOME 3 store panel orientation? How to delete the last gnome panel?